To keep Self Care December going, I whipped up this recipe as a healthy alternative to all the sweets and desserts Christmas parties bring. Dodging those unhealthy treats like s k r t! Mix all the ingredients together. Once mixed, put dough in the fridge for about 2 hours till the dough settles. After, make small dough balls by taking a spoonful of dough and rolling it with your hands. Preheat oven to 325F. Place dough balls on a baking sheet and put in the oven for 11 minutes. Let it cool and voila! 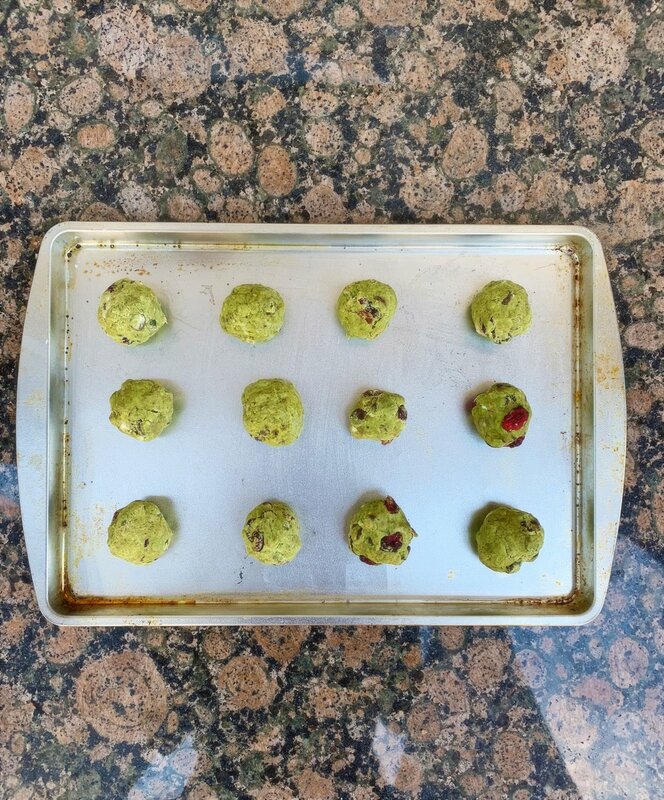 Matcha Green Christmas cookies!